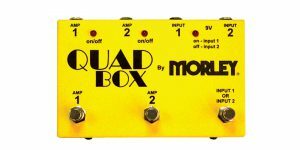 If you use three different guitars or three different amps on your gigs, this little routing pedal is a lifesaver. No more muting and unplugging your cable to switch between e.g. two electric and one acoustic guitar. 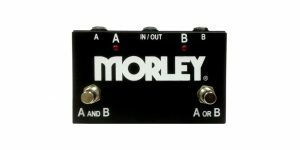 If you use two different guitars or two different amps on your gigs, this little routing pedal is a lifesaver. No more muting and unplugging your cable to switch between e.g. an electric and an acoustic guitar. Just connect, route and match the levels. 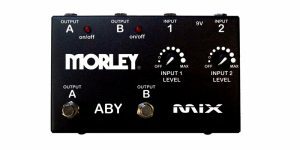 If you use two different guitars or two different amps on your gigs, this little routing pedal is a lifesaver. No more muting and unplugging your cable to switch between e.g. an electric and an acoustic guitar. 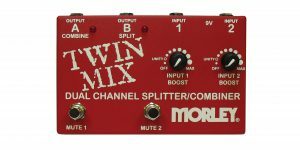 Ever dreamed of giving your guitar signal a triple up? George Lynch did – and we helped him realize it. 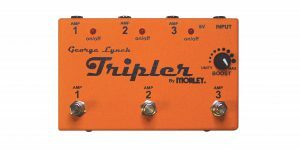 The Tripler takes a guitar input and sends it to 3 different amps. 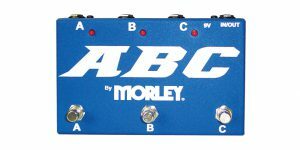 You can select any amp individually – or you can combine them as you see fit. If you use two different guitars and two different amps on your gigs, this little routing pedal is a lifesaver. No more muting and unplugging your cable to switch between e.g. an electric and an acoustic guitar. Just connect you’re good to go. If you use two different guitars and two different amps on your gigs, this little routing pedal is a lifesaver. No more muting and unplugging your cable to switch between e.g. an electric and an acoustic guitar and e.g. a Marshall and a Vox amp.